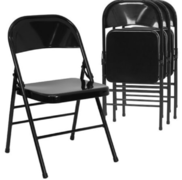 Need tables and chairs for your party or event? All 4 Fun Rentals has you covered! Choose your quanity of 6ft tables and chairs. Don't forget a table for the cake and presents! 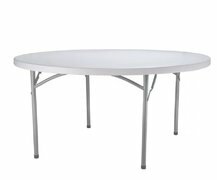 Our 60" round tables are perfect for that or choose one our smaller 4ft rectangular height adjustable tables.